Home > Blog > Finances > What are credit rebuilding loans? What are credit rebuilding loans? What are credit rebuilding loans? If you are looking to rebuild your credit score, making regular loan repayments will demonstrate you are a reliable, low-risk applicant when applying for finance. Taking out a loan and making all your repayments on time will help you build your credit rating. Below we explore the different types of credit rebuilding loans available and what you should consider before applying for one. With a loan, like most forms of borrowing, you apply to a direct lender or a credit broker. If your loan application is accepted, you will usually receive a lump sum of money which you will pay back over an agreed period of months or years. There is almost always a cost for this which is usually added on as interest. In some cases, management fees may apply. As such, the longer it takes you to repay the loan, the more interest you will pay. Most personal loans require you to pay on an agreed schedule. Sometimes there is a penalty for early repayment, but most lenders will allow you to pay back early without additional charges. Secured or unsecured loan? It is important to understand the difference between these products and make the right decision for you. An unsecured loan is often more commonly known as a personal loan. The money is not secured against any assets, such as property or a car. Yet, with an unsecured loan, the interest rates may be slightly higher than with a secured loan. With a secured loan, the agreement is secured against an asset. If you do not pay the money back on time, the lender may repossess the asset (possibly your home or car) to recoup the money. The interest rate may be lower on this type of loan as it is less risky for the lender since they have an asset that they can claim if payments are not received. It is however much more risky for the borrower. Especially as they could lose their home or car. When making the decision about whether to accept your application, the lender will review your credit file. The better they score you, the less your interest rate will probably be. Applying for a loan like this is much the same as any other type of loan application. Lenders may offer online applications or may accept your application over the telephone. Yet, some lenders offering this type of loan may have physical locations on the high street. If your credit score is poor, then you may be turned down for credit or offered a much higher rate of interest. The representative rate of interest known as an Annual Percentage Rate (APR), is a guide to help you understand the cost of borrowing a loan. When shopping around compare the APR and not the interest rate so that you can accurately calculate and compare repayments. Furthermore, all FCA regulated loan providers or credit brokers must have a representative APR displayed prominently on their website. The representative APR has to be offered to at least 51% of customers to be accurate and compliant. This does not mean you will always be offered a loan at this rate. Because 49% of applicants may be offered a loan with a higher APR. Something that is based on their loan application details and subsequent credit checks. You need to decide if you are willing to accept the APR offered and be confident that you can make the repayments. Credit rebuilding loans are different because they are specifically aimed at people with a poor credit history. Taking out any form of credit will give you an opportunity to repay sensibly and build up your credit score. 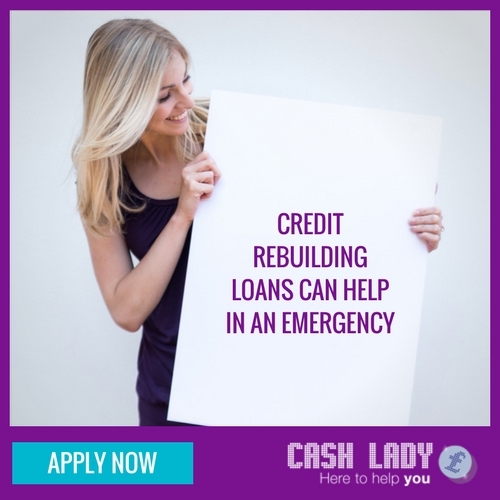 A credit rebuilding loan can also be useful when you need emergency cash fast, for example, urgent home repairs. This type of loan product can be expensive due to the high-interest rates. The reason for higher interest rates is usually because the higher level of perceived risk you might represent with a low credit score. If you are considering a credit rebuilding loan, you should calculate repayments carefully. Not paying on time will impact your credit score badly. Think carefully about applying for any line of credit. Remember that applying for too much credit, whether you are accepted or being rejected, will leave footprints on your file. There are alternatives to a loan that you could use, such as a credit rebuilder credit card. We have covered all that you need to know about them in this article. Another type of loan suitable for rebuilding credit is a guarantor loan. These can be secured or unsecured and may offer lower interest rates than credit rebuilding loans. 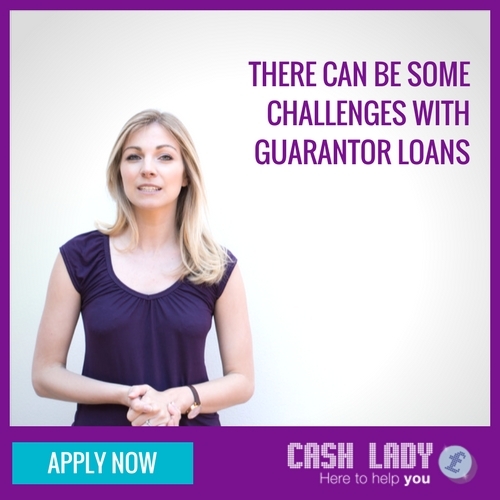 Aimed at people with poor credit, you would sign the loan agreement along with a guarantor. A guarantor could be a family member or friend. They would then be liable for the loan repayments, including interest, should you not make your loan repayments, enter into bankruptcy or an Individual Voluntary Agreement (IVA). There are many specialist lenders who exclusively offer this type of borrowing. Some of the most well-known guarantor loan providers are Amigo, George Banco and Trust Two. The interest is typically lower. This is because the lender is taking on less risk since the guarantor will be compelled to cover the repayments if you fail to do so. The amount that you can borrow may be higher than with a credit building loan. It may be hard to find a guarantor, or you may find it difficult to ask someone close to you to take on this financial responsibility. The guarantor can’t be a spouse that you are financially linked to. It usually needs to be someone who owns their own home and has good credit. Interest rates are typically quite high with this type of loan compared with a loan from a mainstream bank or building society. While this is a way for you to demonstrate regular repayments and to build your credit, it could be difficult to find a guarantor. Furthermore, if you do find someone willing to take on the agreement, then it may put a strain on your relationship. Rebuilding your credit is an important part of gaining financial security and accessing the best rates for borrowing. There are lots of steps that you can take to help achieve this, which we have covered in our series of articles aimed at rebuilding your credit. Before you decide to take out a credit rebuilding loan think carefully about whether you can keep up with repayments. Shop around for the best deals, look into credit rebuilder credit card options and seek impartial advice if you need it. This can be accessed through the Money Advice Service and Citizens Advice.